Our River Pines property was recently featured in the Atlanta Business Chronicle's Residential Real Estate News section! Click the links below to learn more about this unique hunting tract. 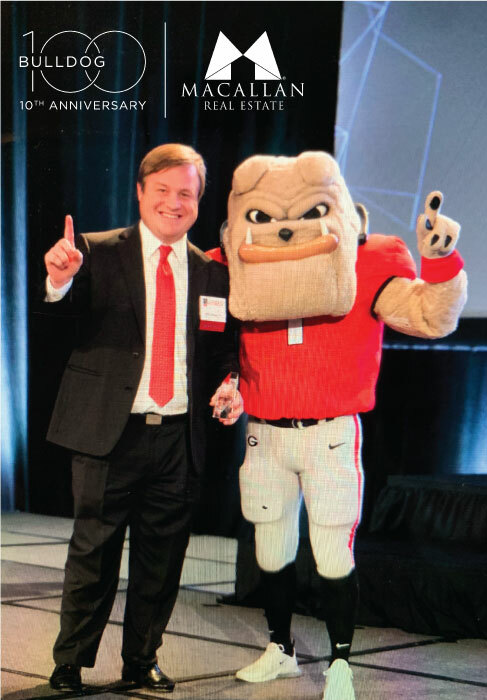 Macallan Real Estate is honored to be recognized as one of the 2019 Bulldog 100 by the Alumni Association of The University of Georgia. This honor celebrates the 100 fastest-growing businesses owned or operated by UGA alumni each year. The Bulldog 100 embody the best of the University of Georgia, for they are the risk-takers, the pioneers, the movers and the shakers. These alumni are leading the way in business and are building better communities. They are committed to their ideas, their innovations, and their employees. They demonstrate the value of a degree from the birthplace of public higher education. The Bulldog 100 Celebration is an annual opportunity to applaud outstanding achievements, broaden networks and inspire one another in a shared pursuit for greatness and Macallan Real Estate is honored to be a part of it.